A couple friends of mine booked a kayaking trip to Monkey Island and invited me along. The low price and spending time with friends , plus the possibility of MONKEYS, made it an easy decision! Everyone on our tour had previous experience on Sea Kayaks, so we had a quick refresher course plus a few tandem paddling tips, then into our kayaks. Camera and personal items were double bagged in dry bags provided by Barefoot Travelers. The water was a bit choppy, so we had a great workout paddling out the half mile to the island. Only a few minutes into the journey, our tour guide Keishya was already pointing out movement in the trees, then monkey shadows as we approached the island. We paddled the kayaks out to just short of the island, as only researchers are allowed on the island. The sandy bottom is as shallow as 3 feet in certain areas. There are a few spots around the island to drop anchor and walk around the clear, shallow water. Boats are too big to get this close, so kayaks are the BEST way to see the island and the monkeys that live there! As we quietly stood in the water near our kayaks, there was a parade of monkeys crossing the sand bridge and surrounding beach! Mommy monkeys with newborn baby monkeys pressed together, young monkeys scampering about, pregnant monkeys, and even a couple rare blonde monkeys came out to watch us watch them! Most of the monkeys are the size of large cats. They roam around the island freely. A few monkeys watched us, watching them. Monkeys can easily be spotted in the trees, on the beach, and just hanging around. How Many Monkeys Can You See? Our knowledgeable guide told us the history of the island, monkey stories, and answered all of our monkey questions. There is an old shipwreck near the island in shallow water (approx 10-12 feet deep). Snorkel and mask were retrieved from another dry bag and within minutes we were swimming with a variety of fish around the shipwreck. We saw many fish, including puffer fish, bright orange starfish and an octopus! Our group swam around pointing out various fish and features of the ship wreck. Our tour guide tailored our trip based on the activities of the monkeys and our preferences. We had plenty of time to watch the monkeys. We snorkeled all around the calm waters West of the island. We even opted for an extra rest stop before the final paddling back to shore. Bonus points for UV protection shirt and/or leggings/pants for the fair skinned folks trying to avoid a sunburn! Our trip was a snorkeling and kayaking tour around the island. So I wore a protective water shirt and shorts over my bikini, and water shoes. Next time, I will wear a fitted hat or visor to keep the sun off of my face, and perhaps long pants to prevent a weird tan line from the shorts. Even though I wore a ton of sun block, there was quite the tan line around my sunglasses and shorts. Also, for the snorkeling part, I (stupidly) took off my shirt without applying more sunblock and got a sunburn on my back. I was especially impressed with the quality of the provided gear. Quality masks and snorkel (with the fancy float mechanism that closes to prevent water from entering when submerged), plus water shoes (if you do not have your own), life jackets of course, good paddles, and nice two-person sea kayaks. All of the equipment is well cared for. I felt safe and comfortable both for the equipment and Barefoot Travelers as our guide. Assume everything will get wet! Even stuff in dry bags gets a little moist from the humidity and your hands, if you open the bag at any point in the trip. Leave dry towel and nonessential items in the car. I squeezed out my shirt and shorts and was dry within a few minutes of exiting the kayaks anyway. Since my friends had originally booked the tour, I just showed up. To my pleasant surprise, I had met the tour guide owner/operator Keishya at a local event a few weeks earlier (Puerto Rico is a small island). And the end of our tour, we met her husband and partner, Bob. Who we Booked with: Barefoot Travelers (FB page) and website for booking a tour (reservations required for the twice daily tours). I know why Trip Advisor have given them well-deserved Certificate of Excellence Awards. Oh, and they have a guest house accommodations to rent. Gratuity: Monetary tips are common practice for tours. There is no room for a tip jar on the kayaks, so don’t be shy to show your appreciation with cash in hand when returning your rental gear. No special consideration was given to me other than being a paying guest. I had previously met the owner, and while I received a fantastic workout, I highly suspect that Barefoot Travelers treat all of their guests this well! This trip sounds awesome! You mentioned they were reasonably priced. Do you recall how much the trip was? For a half day excursion, it was under $100. I think it was $80 per person, but I do not remember exactly. After Hurricane Maria the tour is modified and I do not know the updated pricing. This is very wonderful piece of information. I have never been to Puerto Rico, but it looks like I must make plan now. I am happy that you enjoyed this post! Be sure to check out some of my other posts on Puerto Rico for more inspiration and travel ideas. Snorkeling atop a shipwreck sounds like so much fun! That must’ve been a spectacular sight! Wow you are so lucky to have this beautiful place on your doorstep. I love kayaking. You get to see such interesting places that aren’t accessible on land. Monkey Island would be my dream trip. I think I would be a little nervous getting close to them in case they jumped on my kayak but they look so cute! I am so amazed! Puerto Rico has so much to offer in terms of activities. I love kayaking and paddling, but I really dislike interacting with monkeys. They were the worst in Jaipur. I have heard about the out of control monkeys in tourist traps. I am so happy that the Monkeys on Cayo Santiago are in a natural habitat and well cared for. They are well behaved and interesting to watch. 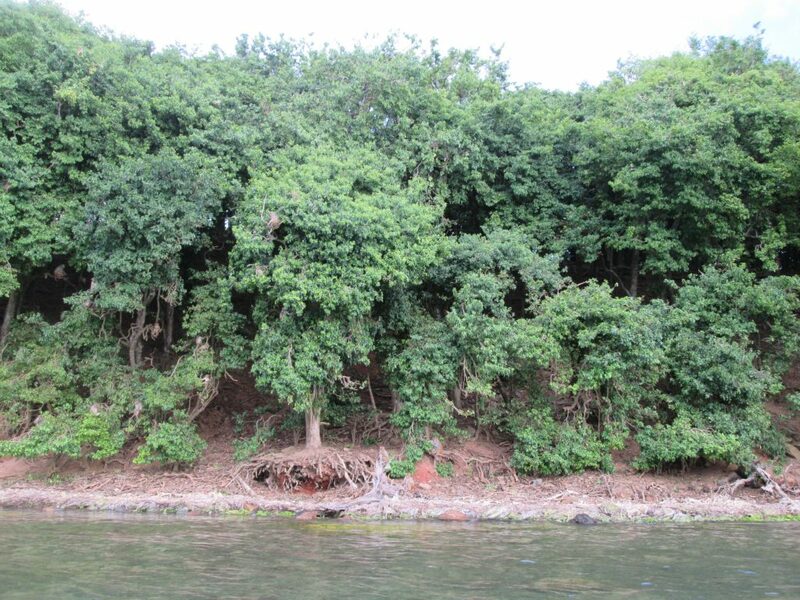 Again, there is no direct interaction of the monkeys while kayaking around the island. I love sea kayaking and the monkeys are an added bonus. I am not sure my husband would agree though as the last time we kayaked last month in the Philippines, he only capsized his kayak and got stuck on some coral. I had to tow his kayak to the beach where the hotel staff emptied the water and then take it back to rescue him. I had a lot of laughs at his expense but for some reason he did not see the funny side! HAHA, yes I see how that might not be funny for him. Fortunately, most of the water around Monkey Island is shallow, with many spots only 3-4 feet deep so a capsized kayak is no big deal. I love monkeys and so would be really tempted to check this place out if I’m ever in Puerto Rico. Do you know any more about what the purpose of the research island is and what kind of research they are doing there? Have always wanted to try sea kayaking too so could possibly kill two bird with one stone. Snorkeling the ship wreck must have been fab as well. The colony was established after removing the monkeys from medical research facilities. Now it is an observation habitat only. No experiments on these monkeys, just well fed and looked after. Wow I think you have found yourself a little Gem. i have not heard of this before. I plan on doing Central America some time soon and I will def. check this our when it is closer to this day. Thank you for this review. Glad to read this! Picking up South American countries that we are going to visit. But we only have six months. I hope it won’t be as expensive as I thought it would be. Yayks! That was a comment for a different blog! What I wanted to say, seeing monkeys in their natural habitat makes me happy. Paddling, saltwater, and wild animals are perfect elements of an adventure! Enjoyed it! Thank you, Jen! It is a delight to see monkeys in their natural homes! Paddling, saltwater, and cute animals are the perfect combination for a great adventure! Thank you for this, Jen! Enjoyed it! This looks really fun! 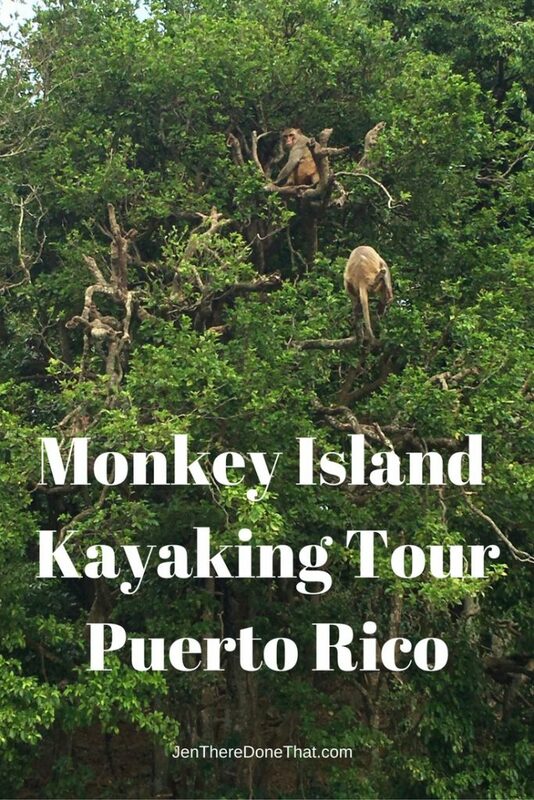 I love kayaking and certainly would be happy to see the monkeys from afar! The whole experience seems to be a lot of fun. I would be really interested to getting close to the ship wreck. Sounds quite intriguing. I love kayaking excursions and this one looks really fun. Were you able to go onto the island and explore? I’d love to snorkel around the shipwreck. Very cool! Nope, no people (other than authorized researchers) are allowed on the island. An island filled with monkeys, how interesting! Never heard of Monkey Island before. Did you feed the monkeys? No feeding the monkeys, and you are not allowed on Monkey Island. Visitors can look from the water off of the island only. Ohh this looks fun! I’ve always wanted to go to Puerto Rico and now I have another reason why I should! Kayaking is always one activity I enjoy and it’s cool that the company provided waterproof bags for your gear! How cute are those monkeys! This sounds like such an awesome experience, and I definitely bookmarked it for future reference. The snorkeling also sounds like it was beautiful! Those look like pretty calm waters but I would still be terrified of all the wild sea creatures that are out there. However, as you said, for MONKEYS, it would be worth it! 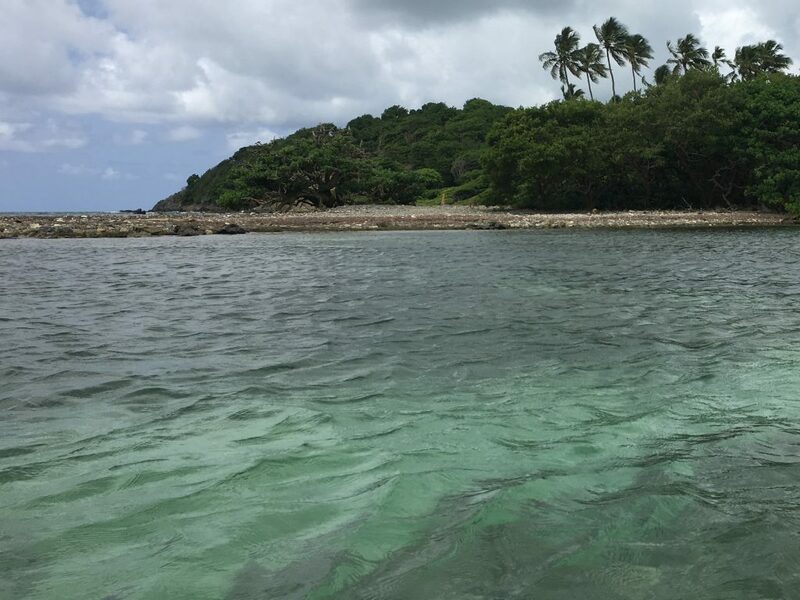 The wild sea creates in the waters around Monkey Island consist mostly of starfish and colorful fish. The waters around the shipwreck are so clear, you can see all around you. No, these Monkeys did not throw anything. Many were playing on the beach, or just hanging out in trees. And since people are not allowed on the island with the monkeys, there is really no danger at all. What a fantastic experience! I would be afraid to go near the island, as I’m not really comfortable around monkeys, especially when they are so big. But from the water I wouldn’t have a problem. I love snorkeling too, I wish I can do it more often in my trips. What a great post! 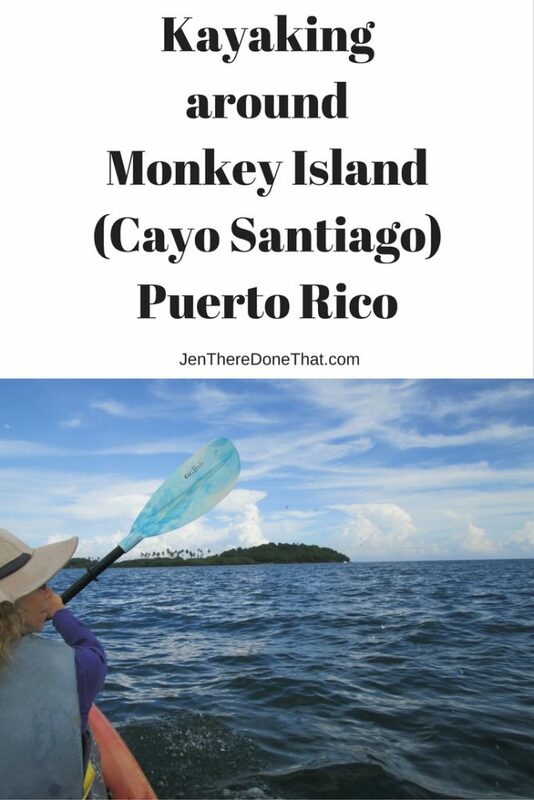 Puerto Rico is on my bucket list and this article about Monkey Island was truly motivating to head there sooner than later. I also want to take up kayaking so I will refer back to your piece! Thank you for sharing! 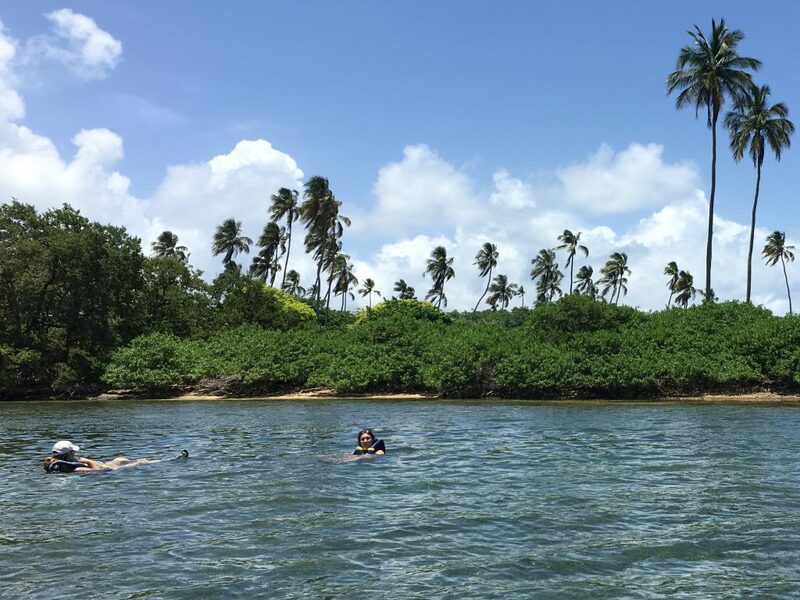 Puerto Rico is a magnificent country in terms of nature and wildlife, I am happily surprised to see how many different options one can get to do different activities on the island. Water sports are always fun and engaging, and it’s much better when you feel safe because you are given the right gear. Awesome experience. What a fun tour! I have a kayak tour that might be coming up soon. I have been told monkeys are always very curious, is it right? The experience should have been fantastic! Some certainly were curious. Most barely glanced our way. I didn’t know about this island when we visited Peurto Rico. Yet another reason to go back. I love seeing monkeys in the wild. Kayaking, monkey spotting and snorkeling! What a fun day out you guys got to do and see a lot. I think it’s so special that the entire island is inhabited by monkeys. I also thought it was funny that they were watching you watch them. I have never heard of this place. It looks intriguing, one more place to put on my bucket list. Thanks for sharing. Monkeys are not native to Puerto Rico, they were brought onto the island habitat after being removing from testing/research facilities. I would love to see those monkeys! 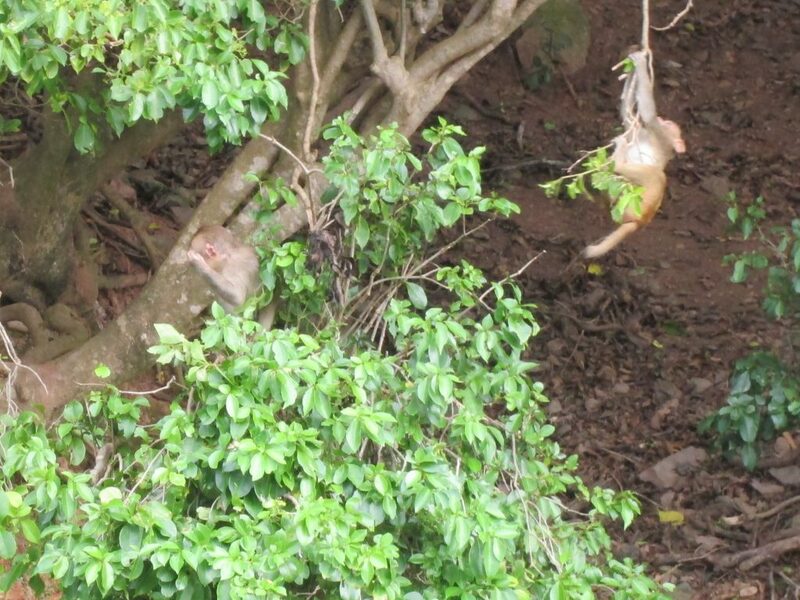 I’ve only ever seen wild monkeys in Brazil but not a whole island of them. Puerto Rico really is an amazing island. And great that your guide gave enough time to see them. What fun. Would love to do kayaking and snorkeling here. Loved your pictures too. Tons of monkeys!! I recently had my glasses stolen by a monkey in Indonesia! lol 🙁 My new ones will be in Monday though haha! I’m not sure I can look at them the same 😛 Looks like you had fun! I love love seeing animals in the wild. I have been to a few monkey islands or spots before but never gone by kayaking. That would be a really awesome experience. I’m thoroughly impressed! I tried sea kayaking once and my arms were BURNING and I know I didn’t go a half mile! I love that the #1 thing you recommend wearing is sunblock. Haha! Looks like you had a blast and I would love to see photos of the snorkeling! Cheers! I was so excited to snorkel, I did not take any photos!!! I need to go back, just for more photos! Never knew this type of kayaking existed! Got to visit Puerto Rico and try this out. Opened a new world for me! Puerto Rico is such a beautiful Island. I never knew you could do this and this type of adventure is right up my alley. Next time I visit I will be sure to look it up. Thanks for sharing. Happy Roving!!! They are soo cute! And seems like you have a great time. I hope there is someone who is keeping on eye for these cute monkeys, if there is – kudos for them! 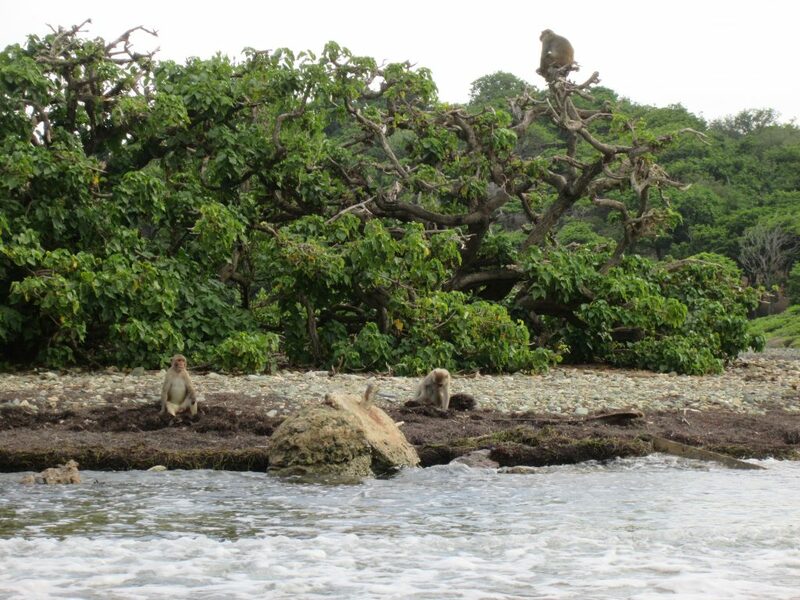 Researchers visit the island regularly for monkey health check, census, and feeding. These cuties get plenty of attention! This seems so much fun, especially since you get to do snorkeling. Also, those little monkeys are cute! That sounds like such a fun kayaking experience! I have to be careful kayaking in choppy waters though, sometimes I get a bit motion sickness kayaking. I would love to check this out when we go to Puerto Rico! Oh man! That’s a lot of monkeys! Hope they don’t jump on you while kayaking. Some monkeys enjoyed watching us, but most of them just went about their day like we were not there. 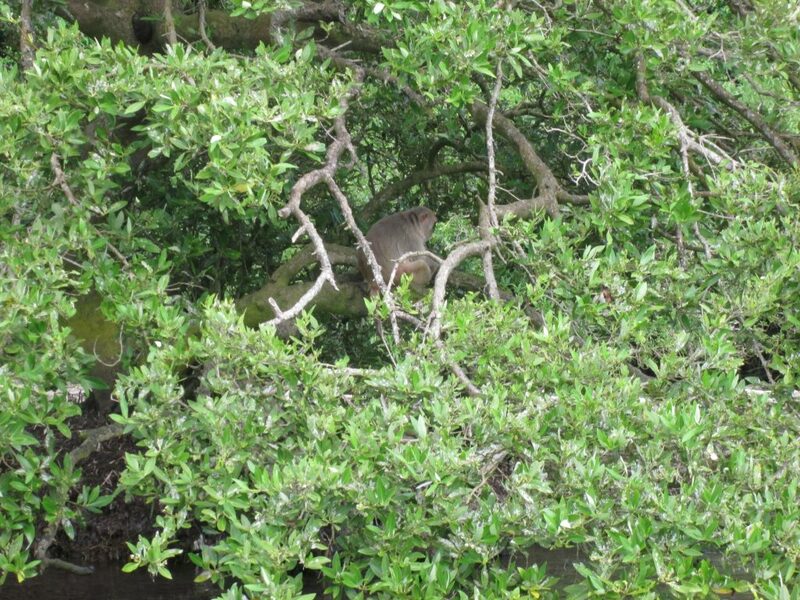 Since the island is a protected habitat, people (non-researchers) are not allowed on the island, and must keep a little distance from the monkeys anyway. We were never close enough to touch, or for the monkeys to jump out to us. Everyone (tourists and monkeys) are perfectly safe. Now those are some alluring captures. Hope I will be able to trip there. Thanks for the booking tips. Looks fantastic. A great way to explore an area. This was a super helpful blog post! I’ve always wanted to go to Puerto Rico, and kayaking around there to watch wildlife seems incredible. Thanks for sharing!